Born in New York City to Russian Jewish immigrants, Hyman Solomon moved to Los Angeles as a child, after his father passed away. 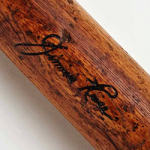 He worked as a newspaper boy, fell in love with baseball, and took the name Jimmie Reese. As a teenager, he wiggled his way into practices with the Los Angeles Angels (of the Pacific Coast League) and hustled around for famed Cubs first-baseman Frank Chance, who managed the club. He starred on his high school team, graduated to semipro baseball, rose to prominence in the Pacific Coast League, and ultimately reached the majors as a second baseman for the New York Yankees. He was known for his acrobatic fielding ability and was widely considered to be one of the best defensive second basemen in the game. He spent 30 years coaching and scouting for a variety of Pacific Coast League teams, most notably the San Diego Padres, and in 1972 he joined the California Angels as a conditioning coach, where he worked until he died in 1994 at the age of 92. He is reputed to be the oldest person to have regularly worn a uniform in the history of organized baseball. In a career that spanned the better part of a century, Reese threw batting practice fastballs to Lou Gehrig, traveled as Babe Ruth’s roommate, hit fungoes to Nolan Ryan, and dispensed advice to Jim Edmonds. Nolan Ryan named one of his sons Reese in his honor. 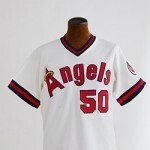 In 1995, the Angels retired his jersey (#50). Reese was elected to the Pacific Coast League Hall Of Fame in 2003. Did you know? Reese threw out the ceremonial first pitch at the 1989 Major League All-Star Game in Anaheim.